A look at the photographers—both official and underground—who captured life in internment in the US and Australia. 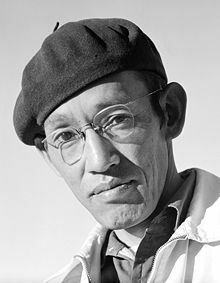 A friend sent me a link to this New York Times feature on the photographs of Bill Manbo, a Japanese-American internee at Heart Mountain camp in Wyoming during World War II. Internees weren’t allowed to take photographs in camp for security reasons (primarily because internees were thought to be spies). But with a keen interest in photography, Bill snuck his 35mm Zeiss Contax camera into camp and built a tripod made of scraps he found at camp (talk about resourcefulness!) and took some beautiful Kodachrome colour slide photographs of his fellow internees. Sumo matches, girls dressed in kimonos for the Bon festival and a boy scout band—colourful slices of everyday life within the drab confines of camp. 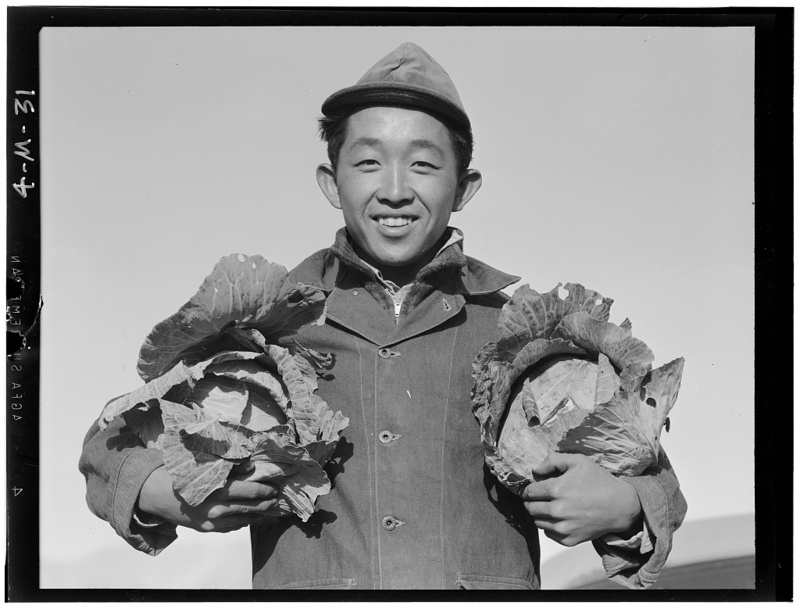 For more on Bill’s photographs, see: Colors of Confinement: Rare color photographs of Japanese American incarceration in World War II edited by Eric Muller (Chapel Hill: University of North Carolina Press, 2012). 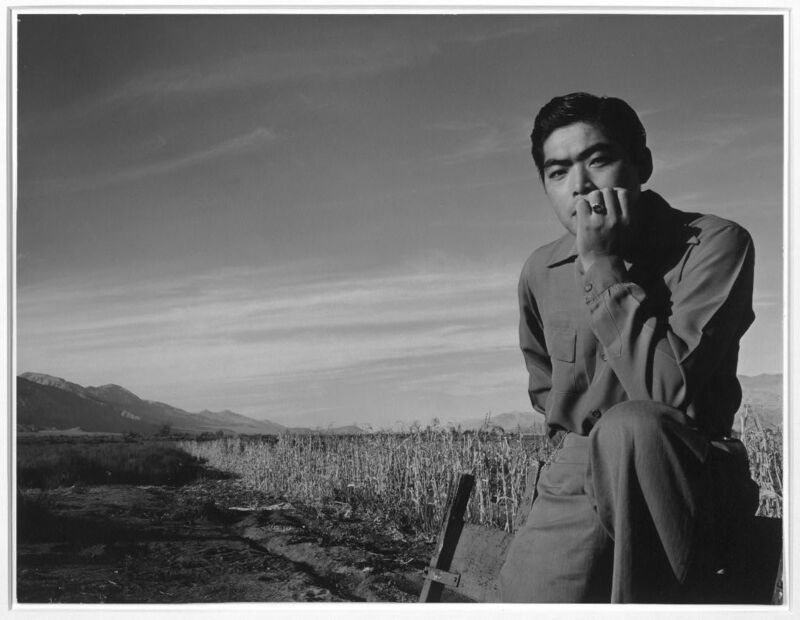 Toyo Miyatake was another Japanese-American internee who documented his internment experience in photographs. Before the war he’d trained under master photographer Edward Weston and set up a photographic studio in Los Angeles. 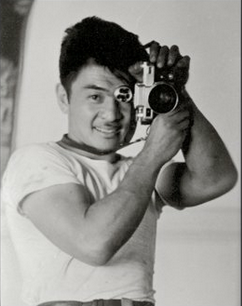 When he was interned at Manzanar (in the Sierra Nevada of California), he smuggled a lens and film into camp and with the help of a carpenter made a box camera and took photos of his surrounds. Toyo was later introduced to the camp director and eventually permitted to freely take photographs of camp. 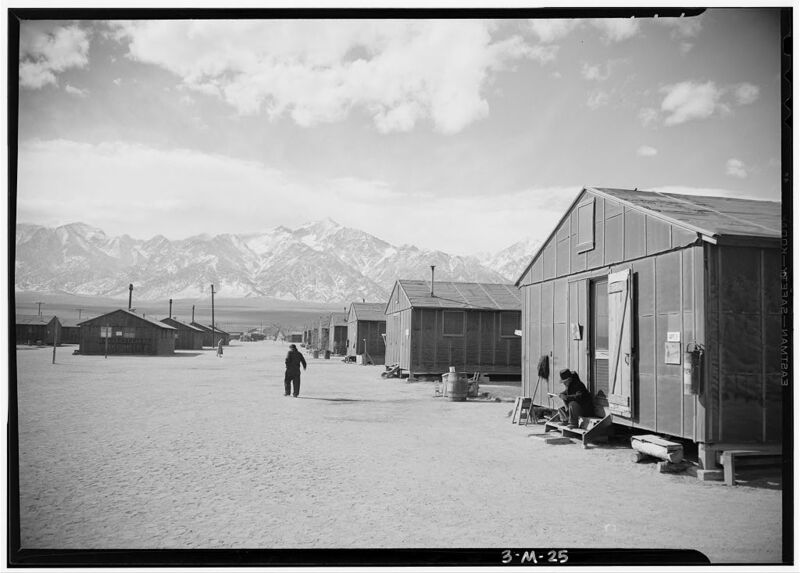 He returned to professional photography after the end of World War II, and a year before his death in 1979, his photographs of internment were published in a book alongside Ansel Adams’ (Two Views of Manzanar, Los Angeles: Frederick S. Wight Art Gallery, UCLA, c. 1978). Toyo’s stark and stunning black-and-white images hold their own alongside Ansel’s. 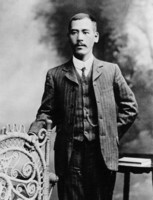 Toyo’s photographic studio is still open and is operated by his grandson. 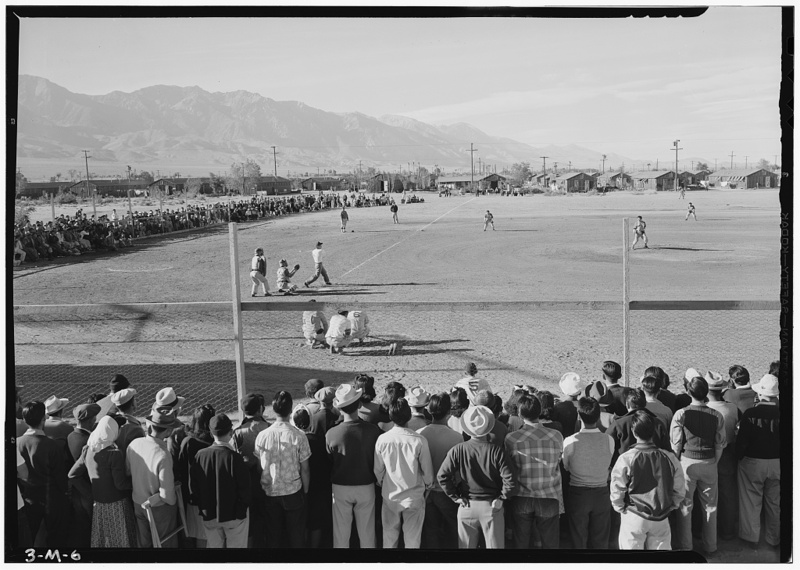 A selection of his images of internment can be viewed on the studio’s website. World-famous photographer (and one of my personal favourites) Ansel Adams documented life at Manzanar War Relocation Center in inland California. Ansel was invited to photograph internees as he was friends with the camp director, but he was banned from photographing guard towers or any other negative aspects of camp life. What resulted was a series of poignant portraits of Japanese-American internees, set against the majestic Sierra Nevada mountains. There’s smiling farmer Richard Kobayashi with a cabbage under each arm, beautiful young nurse Aiko Hamaguchi, a baseball game and a dressmaking class. 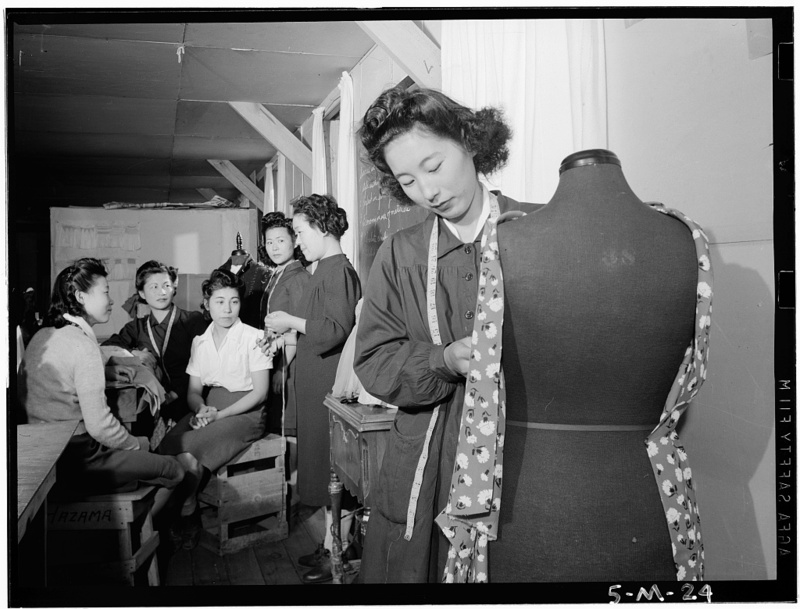 Ansel wanted to portray the loyalty of Japanese-Americans. He said: “The purpose of my work was to show how these people, suffering under a great injustice, and loss of property, businesses and professions, had overcome the sense of defeat and despair by building for themselves a vital community in an arid (but magnificent) environment.” Sadly, when his photographs were published in 1944 in the book Born Free and Equal (US Camera, 1944). it was not well received by the wartime public. In 1965 Adams donated the photographs to the Library of Congress (which is why they’re not copyright-protected today). He said of the photographs: “…from a social point of view that’s the most important thing I’ve done or can do, as far as I know.” Ansel Adams died not knowing what would become of these images. 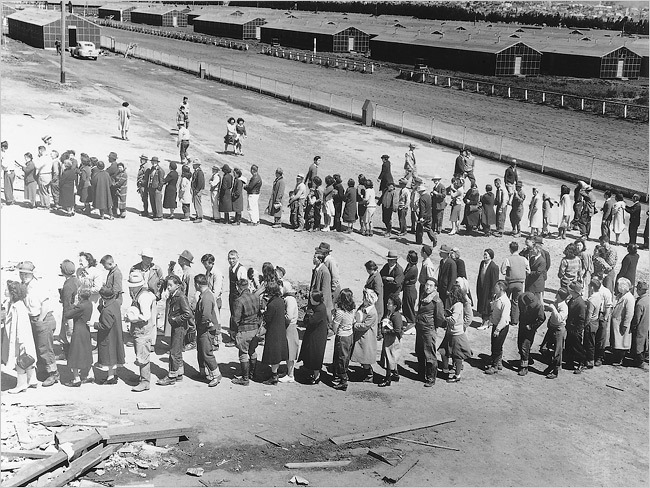 Lange visited 21 locations in all—from processing centres to temporary barracks and permanent camps such as Manzanar. Like Ansel Adams, Dorothea was restricted in what she could photograph: she wasn’t allowed to photograph wire fences, watchtowers, armed guards or any sign of resistance. The Army, which had commissioned Dorothea to take photographs, promptly deposited them in the National Archives, and they weren’t discovered by researchers until 60 years later. In 2006, a collection was finally published as Impounded (WW Norton & Co, 2006). See a selection of the images online. 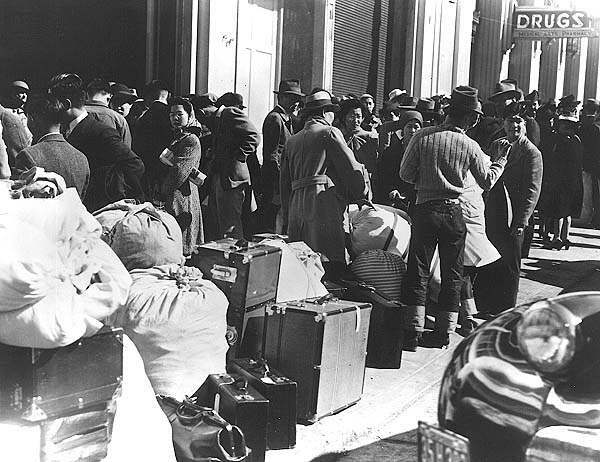 In Australia, photographs of the internment experience are rarer—perhaps because of the fewer numbers of people interned here (16,000 compared to well over 100,000 in the US), and also because the Australian government didn’t want to publicise the fact they were interning thousands of people in Australia. 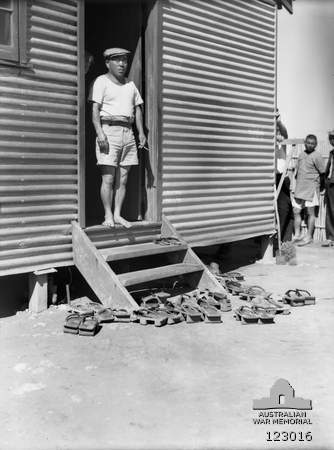 Hedley Cullen took many images of Japanese internees in Australia that I’ve used for my research. He photographed everything from the transport of internees and the physical setting of camps, to voluntary labour and internee recreation. Colin Halmarick worked for Melbourne newspaper The Argus, as well as the Australian Army. 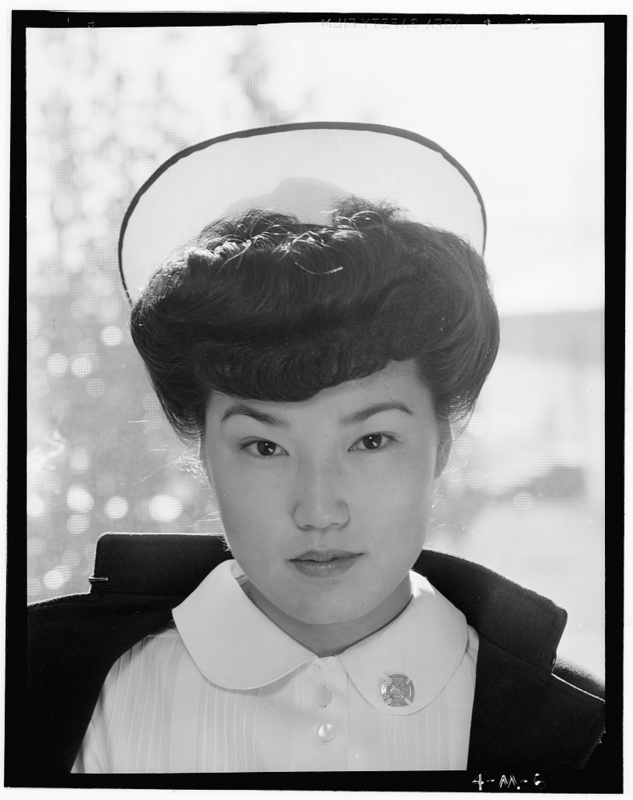 He photographed the officers who guarded the camps, camp grounds and daily life of the internees. To view the hundreds of images both men took, go to the Australian War Memorial website and do a “collection advanced search” using the photographer’s name and checking “photograph” and “Has image: Yes”. As far as I know, Japanese businessman, inventor and photographer Yasukichi Murakami didn’t take photographs while he was interned in Australia, but I’ve included him here as it’s possible he did in secret. Unfortunately, he passed away in 1944 while interned at Tatura camp in Victoria at the age of 63. He’d been in Australia for 47 years. According to historian DCS Sissons, Yasukichi was involved in recruiting and lending money to pearling crews in Broome. He also designed and patented a diving suit in 1926. His remains are interred in the Japanese War Cemetery in Cowra, NSW.